It was good to be able to spend last week with Mum (88) whilst she had, and started to recover from, her first cataract op. It wasn't the easiest of times, but we are still friends! We played Scrabble each evening, helped by a glass of sherry. As you can see, Mum takes it quite seriously! 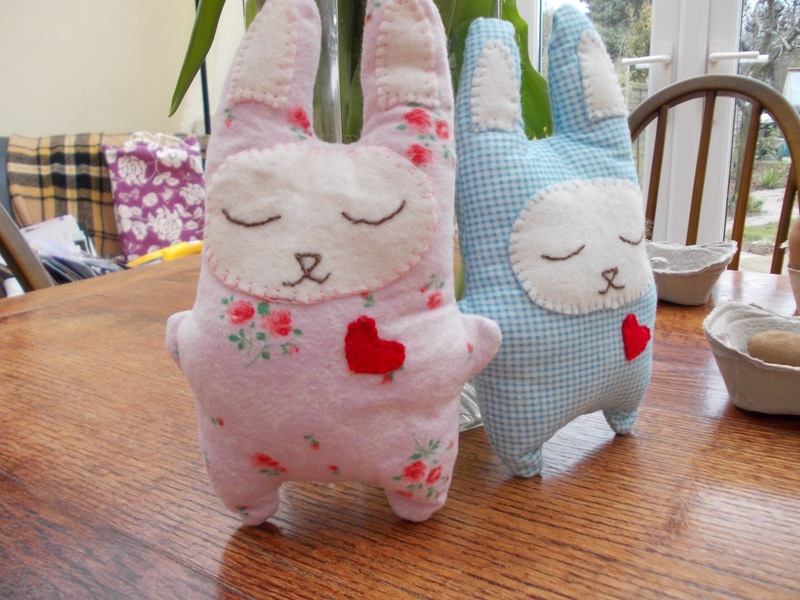 I managed to get some crafting done - two Easter bunnies for my godson Reuben (16 months) and 3yr old sister, Maisie. 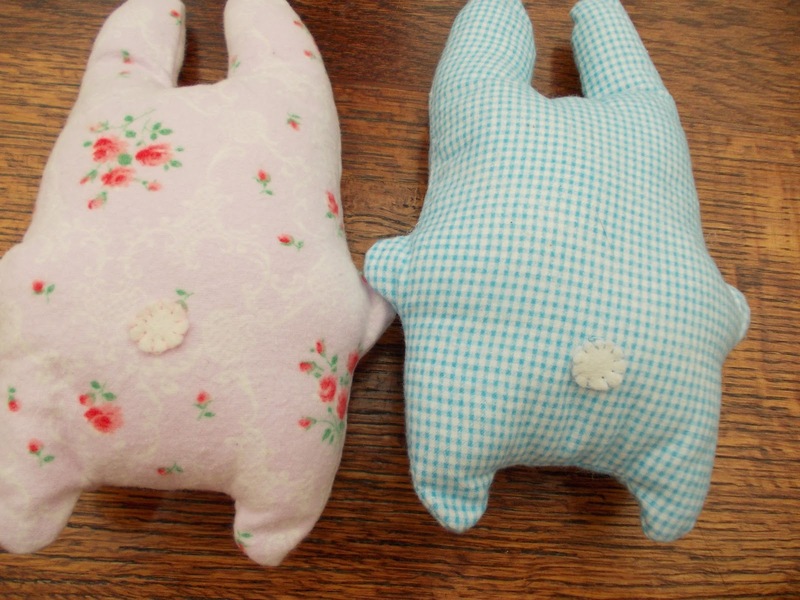 They're made in flannelette to be snuggly to take to bed, and the tails are felt circles, rather than pompoms, in case he was tempted to pull them off and put them in his mouth. 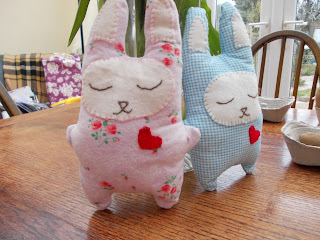 And yet more rabbits (well, it is Easter!) 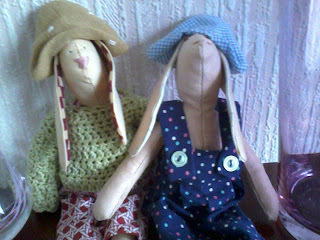 I made Sam (on the right) as a brother to Frank, who already lived with Mum. Sam has gone to live with Wendy, Mum's home help. He hasn't got a jumper yet, but I've promised him one. I came home on Saturday, and DH cooked dinner for us on Sunday, when my daughters and son in law came to lunch. 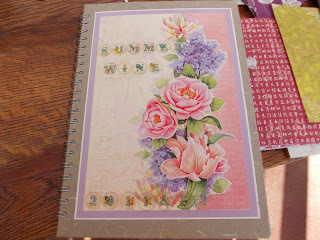 Since then I've been working on the scrapbook for Summer Wine, the group for retired women in our church. It's been very enjoyable but far more time consuming than I'd expected. 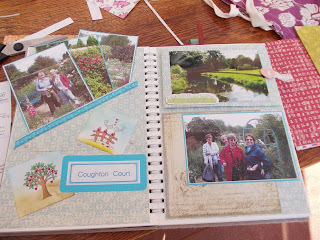 My hoarding instincts have come into their own, on this project, particularly recycled greetings cards and paper stash. 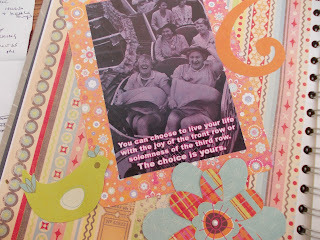 This sentiment sums up what the group is all about - having fun! These are the pages I've managed to do so far. The group has been meeting for just over 2 years, so I've got plenty more pages to do! 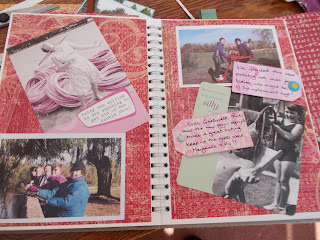 I'm trying to make it more interesting by using pockets, fold outs, embellishments, etc. I don't know why Blogger is insisting on putting some of this post in a white box, but it's now very late and I'm afraid I'm too tired to fight with it anymore - sorry! I'll link this over with Mrs D at WOYWW - http://stamping-ground.blogspot.co.uk/2013/04/whats-on-your-workdesk-wednesday-200.html - when I get up. Why not join everyone over there and find out what they've been up to? PS - I'm also linking up with another party I've just discovered, and the link is on my sidebar, if you have time for a nosey. ... ah mum does look serous coming up for my second cataract surgery later this month too so will be quiet when that happens on crafting scene - you mother is doing well to be playing Scrabble- your pages are very lovely thanks for sharing! I'm glad your mother is recovering well from her cataract surgery. 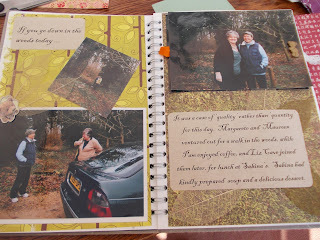 The scrapbook looks great! I haven't scrapped for a long time. Seeing yours makes me want to get started again. Well done you - a week at home at our age can be quite a test. Very glad to read that your Mum is recovering well..the same op certainly gave my Father in Law back his life! 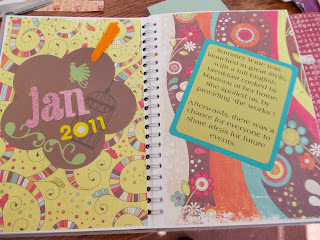 Love the group's name and that you're scrapbooking the fun.. sort of double fun for you then! Mums are special and especially as they are getting older. I think I love my Mum more now and we are great friends. 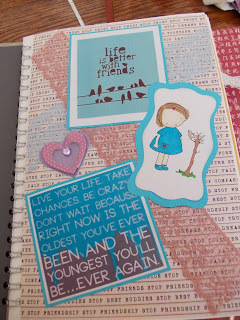 I love your scrapbook, as it is in a journal I think it is a hybrid as in a scrap/art journal book! Beautiful work and full of good memories :-). Happy WOYWW. 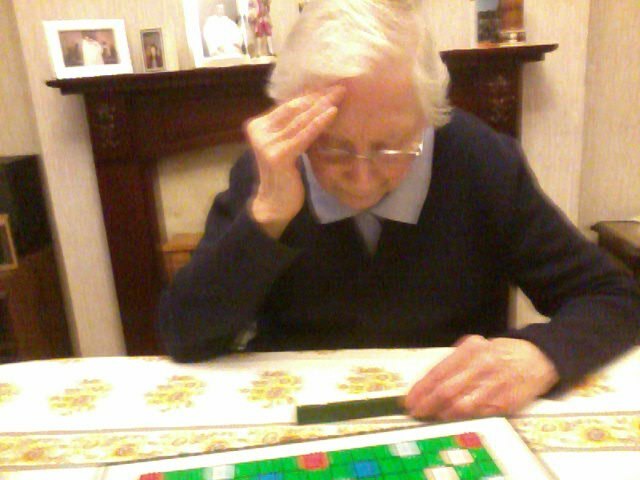 Aww your mom looks so cute concentration on scrabble..I love the bunnies you sewed! 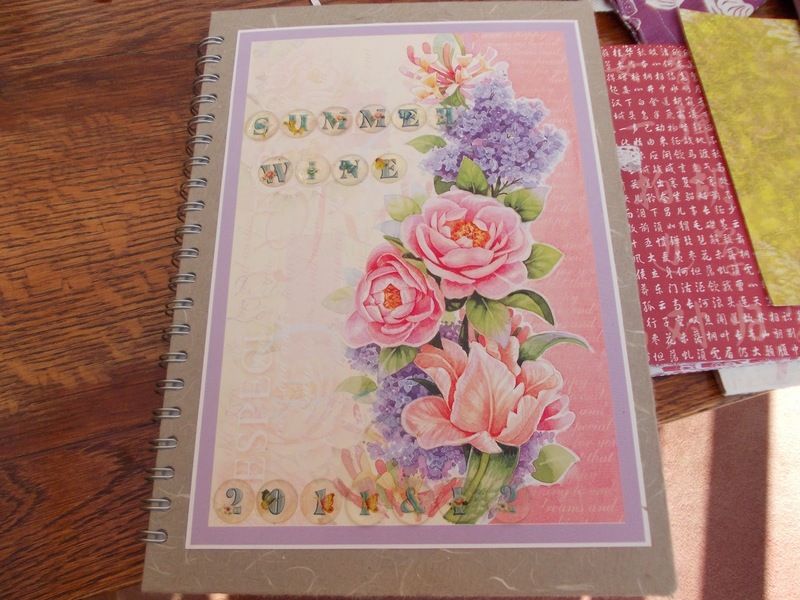 I really like your pages and the pure innocence stamp I really wanna get a few. 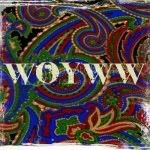 Hope you are having a lovely woyww! Its only my second week doing WOYWW. I'm late as I have had a few huge busy days and just had no time to get to the computer. As well as when Julia posts the WOYWW post I am at work and its already in the evening here on Wednesday by then LOL. So now its Sunday here and I am still trying to get to some others desks and yours. 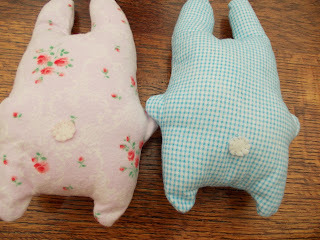 OMG you have been busy...love the cards, layouts and gorgeous bunnies!!! Also I love the photo of your Mum. My Mum is 82 and has just had her second cataract op done too.